Estimates are than more than 1.2 trillion photos were taken in 2018. Every experience is digitally memorialised, from a child’s birthday party to a sandwich with a colleague at lunchtime. Some say we take photographs but see nothing. Yet, taking photographs is a way to capture a moment in time. 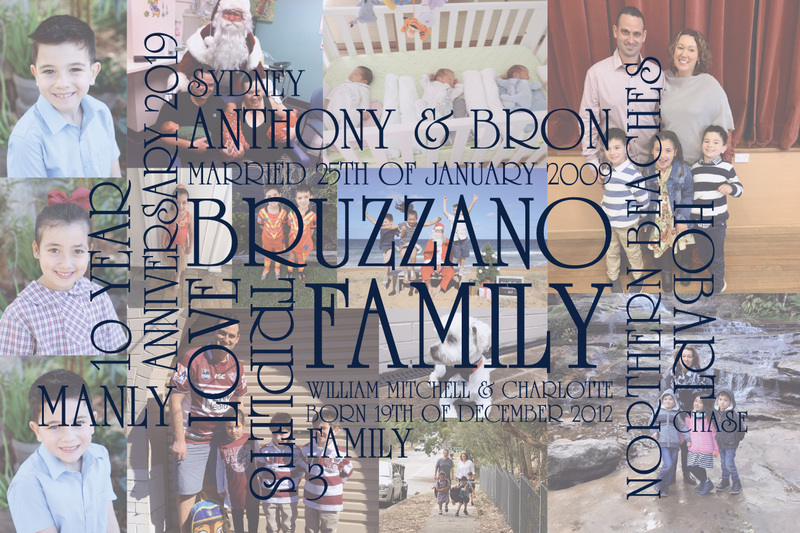 Here at Beyond a Word, we take it a step further: we take your photos commemorating special people and special moments, and we create photo word art as a unique gift idea. It has proven to be a very popular gift idea. 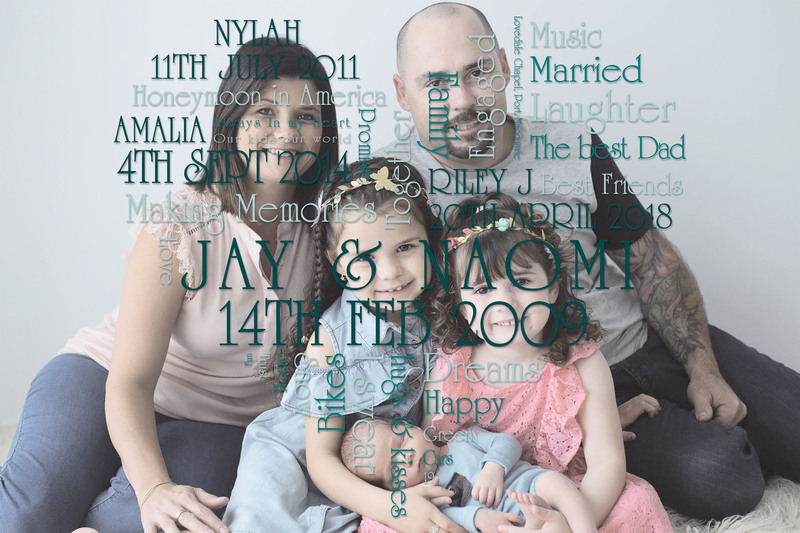 This is a variant of our photo word clusters design. 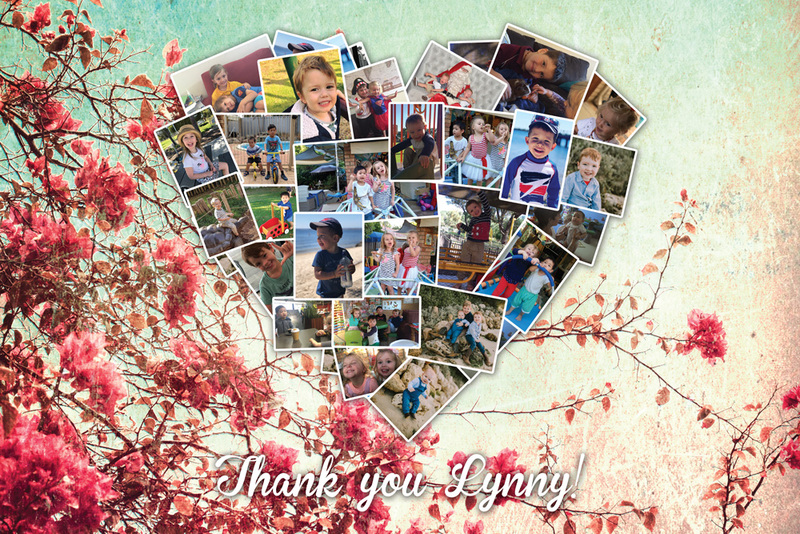 This combination of photos and a “Thank you card”, is an ideal gift for someone who has had you or a child stay for a while. It has turned out to be the ideal thank you gift for one of our customers. The design lends itself to the creation of a unique “Thank you card” that also incorporates fond memories of a stay at a friend or family member. This is a very personalised and unique image created to commemorate a 10th anniversary. The 10th wedding anniversary is traditionally celebrated with gifts of tin or aluminium. This simple, but striking design is our interpretation of this tradition. 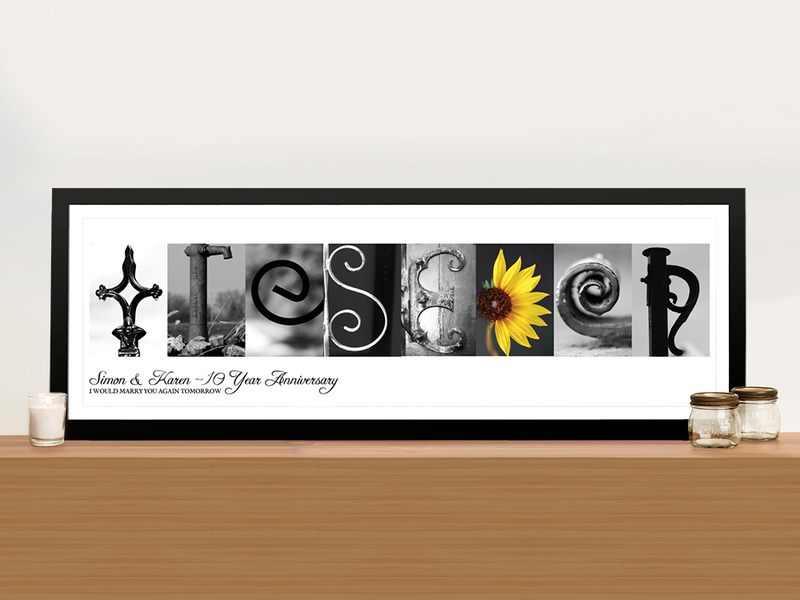 The sunflower in the image symbolises adoration, loyalty and longevity, a fitting design element for this anniversary gift. This beautiful image was created to welcome a new family member. The combination of the photo with facts about baby Nylah’s arrival with words and phrases of special meaning to the family, creates an image that is as unique as it is special. 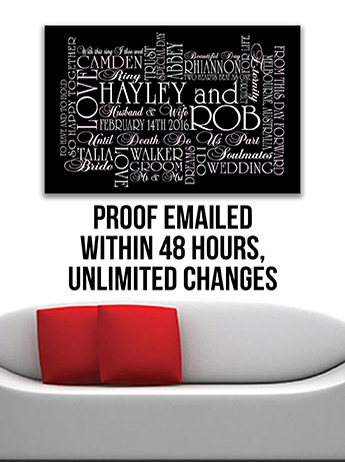 This is a popular product with our customers – once expecting couples see one of these, they insist on getting one too. The popularity of this kind of image lies in the fact that it is unique to every family. Sydney Anthony and Bron chose to celebrate their 10-year anniversary with this compilation of photos that exemplify their family, which include triplets, William, Mitchel and Charlotte. This simple combination of images and word art says it all for this family. 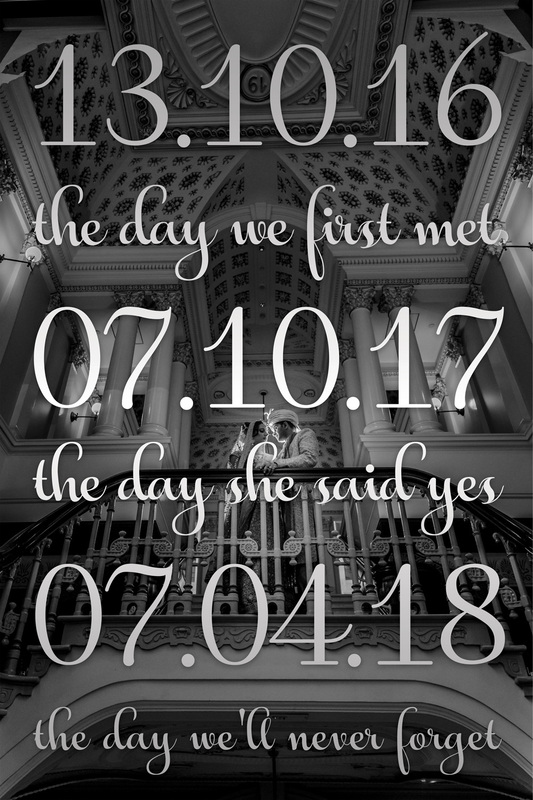 Here we have combined a photo image of a striking interior with equally striking dates that have a special meaning for the couple who chose it. This is an artwork that portrays important dates in this couple’s lives in a subdued but striking manner. At Beyond a Word, we love to listen to our customers and create an artwork that is unique to them. Come and talk to us and let’s create something special for you.